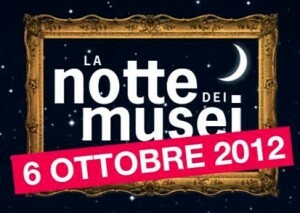 More than 60 museums will be open not only until 2 am, but for free!!! If you happen to be in the eternal city during the night of this saturday October 6th, you might want to plan a different evening between art, concerts and even cinema. There are many places worth to see, like: Musei Capitolini, Modern Gallery Art of Rome, Macro, Maxxi, Ara Pacis Museum, Museum of the Vittoriano, Ancient Art National Gallery in the Palazzo Barberini (designed by Bernini), National Roman Museum (Palazzo Altemps), Palazzo delle Esposizioni, Planetarium, Casa del Cinema, Casa del Jazz, even the Chamber of Deputees will open its door for this extraordinary event.